Have you ever thought about first ever practiced team sport on a grand scale? Perhaps, like mine, your first thought could be some competition within ancient Olympic games, right? Well, no, old Greeks didn't like team sports at all - instead their first athletes competed within what we consider today as individual sports or disciplines. Boxing, racing, running, jumping, wrestling, throwing and similar individual competitions or fighting. However, on the other end of the world and perhaps in the more or less the same time, ancient Chinese practiced sport competition just the same and during the Han Dynasty around 3rd century BC it was documented a game that resembles very much to modern football or soccer if you will. It was called Tsu'Chu with kicking the ball in the field in the team effort and with the goal of putting the ball in the net. 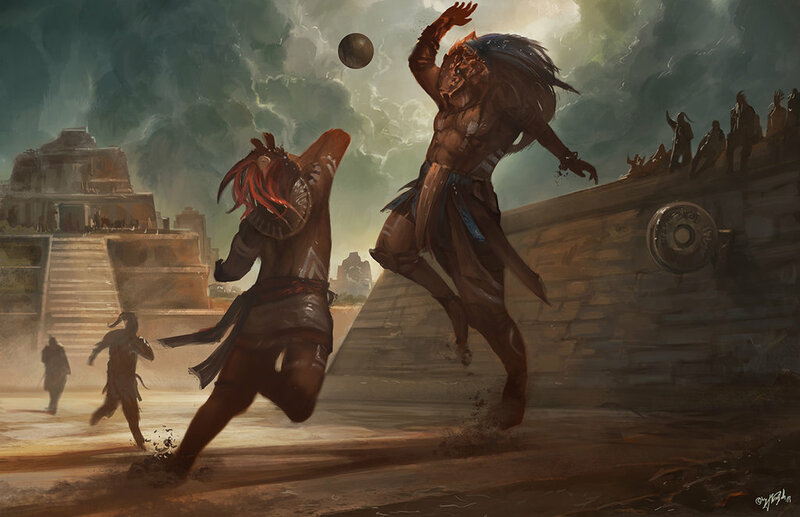 But perhaps millennium before Tsu'Chu, on the third ancient continent, the origin of another modern sport was invented first and it was vastly popular among old Mesoamericans. Even as early as 3000 years from now they played, well, sort of a basketball. One of few sports I really enjoy to play and watch. 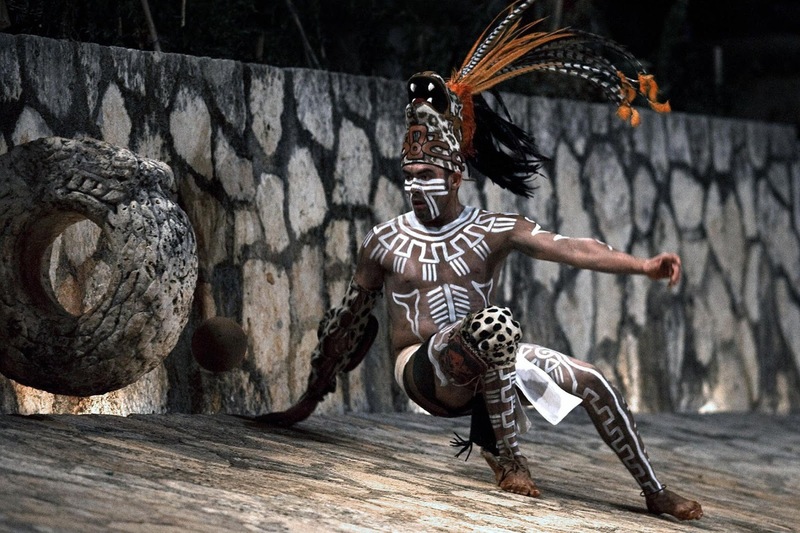 History of mayan religion and myths says that their famous game was connected to mayan gods Hun Hunahpú and his brother Vucub Hunahpú, who descended to Earth, or came from underworld, I am not sure which, to play the ballgame they adored. Unfortunately they played the game too near to the backyard of even more powered gods of the Xibalba and the looser after the game, Hun I think, was murdered on site by the Xibalba. I am pretty sure the other brother was killed as well. Apparently the reason for this was that they were too loud and that annoyed the mighty ones. Anyhow, the Maya and all other civilisation before and after enjoyed the same game and its variations for centuries in BC and the ruins in central america are full of courts and hoops all over the ancient cities. No doubt, that the real losers in the game were forced, by following their gods and belief, to climb on the top of the pyramid were couple of priests were waiting to take their hearts out in order to please those in Xibalba. I am pretty sure in some occasions even the winners suffered the same fate as a reward. Apparently mayan gods never really made a difference between losers and winners and I guess, if you were ancient basketball players, whatever you did, you were doomed to your death. But, let's divert back to the sport, after all, people evolved a little since brutal religious past and today nobody dies after the game. Today is more about gold, money, popularity and fame. Well, kidding aside, ancient mayan game was flexible, so to speak, when it comes to courts and rules. It was played with rubber ball and it was forbidden to touch the ball with your hands or feet. Kicking the ball was done by your elbows, hips or knees. If the ball was mainly hit by knees and hips, hoops were located low and the game looked more to handball or basketball for children. 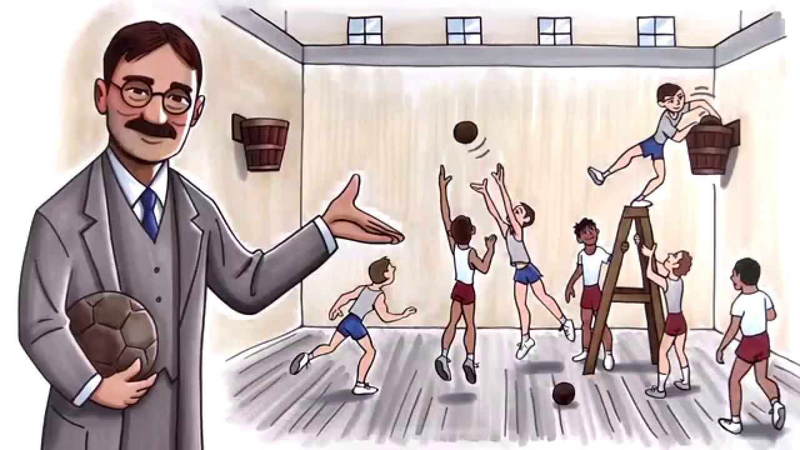 However if the main hit was performed with players' elbows, the vertical hoops were fixed high on the wall and the game resembles more to the modern basketball. The ball was heavy and it was very difficult to score through the hoop so in many occasions the game ended with 1:0 and it could be played with up to six players. Also on some drawings and from some sources there were also referee in the court monitoring the game. The game was very popular over the centuries and it was number one sport in the ancient times and the best of all it survived to the modern times and in nowadays Mexico and other neighboring countries we still have a game called Pok-ta-Pok that is real sport, folklore event and tourist attraction, all in same time. Just google it or do the googling in YouTube - can we say youtube it? Well, it is unclear if James Naismith had in mind ancient mayan ballgame or just "Duck on the Rock", a field play he probably enjoyed during his childhood, but 1891 he invented first modern basketball game, all in effort to create an indoor recreation for young sportsmen during winter time. His new sport was played with soccer ball and peach baskets and all within his original 13 rules. Of course, the game started to be interesting only later when dribbling is added to the rules and surely when peach basket bottoms are cut off and with removing the ladders from the sport's gear. It was pretty annoying to have someone to get the ball out of the basket after each score. Joking aside, the basketball is maybe one of those new sports invented by just one man that evolved so rapidly in following years and with enormous popularity as it possesses today. The history of the basketball in first couple of decades or perhaps until second world war was mainly connected with YMCA (Young Men's Christian Association) that was very active at the time and especially with promoting new sports (basketball, volleyball and swimming competitions) and it culminated with foundation of FIBA (International Basketball Federation) in 1932. Only four years later in Hitler's Germany, basketball was introduced for the first time as an Olympic sport. James Naismith was special guest and he was the one who awarded the medals to the winning team of USA. Unfortunately, the tournament was played outdoor on muddy tennis courts but nevertheless it was decent start of one remarkable game that soon after earned its place among all the major modern sports and always in the top 5 list in all countries worldwide. The take off started just after the second war and popularity gaining fast among American colleges, foundation of NBA and with FIBA organisation of world, continental and regional championships. Here in Serbia, basketball is definitely sport number one. At least in previous years and decades. Others sports are simply either not popular or not successful enough to attract young boys and girls on a grander scale. 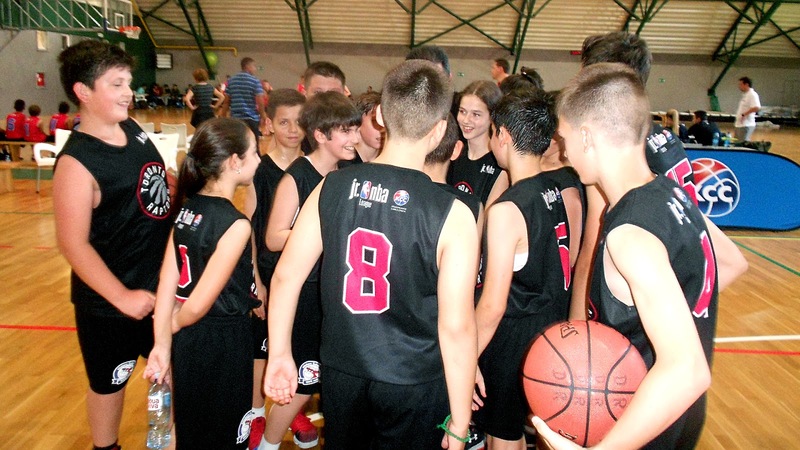 I believe that only in our town which is not that big compared to worldwide cities and bigger communities there are at least four basketball clubs with focus on children and their first steps in the game. Viktor joined KK 'Naisus' not so long ago when he was still not in shape to even hit the hoop with a ball and now after only 18 months, the improvement is more than obvious. He is even very good defense player and regularly participates gatherings and competitions for his age group. I still remember one of their games that ended with score 2:0, when all the children were still in stage of understanding the game and all the rules, but that one score was made by Viktor and he did it in Steph Curry fashion - very fast in turn and from the long distance. The ball bounced from the back rim and heavily disturbed the net by passing through. It was one of those lucky shots when you are bare beginner I knew, but still for couple of prolonged seconds I was unable to close my mouth with odd disbelief look all over my face. In today's update, couple of years after that, he played for his school in the Jr. NBA Serbia League and they won third place among 30 teams originated from three major Serbian cities. I watched couple of their games live and experienced the same excitements as with watching normal NBA or Euroleague games. Even better, the kids came genuinely innocent and performed more honest games than most of their professional counterparts. To simply put, all the cries and all the smiles I witnessed, were more convincing and more genuine and for all of them the happiness they received after the games were something they would remember for... well... forever. Serbian national team and basketball clubs are pretty good and every year there are opportunities to watch quality games in Euroleague championship, that year after year becomes one respectable competition and many teams are playing the ball on the level of many great NBA teams. Serbian top players are scattered all over the Euroleague teams, with some of them playing in NBA as well, but the most of the best Serbian players are currently in KK "Crvena Zvezda" (BC "Red Star", Belgrade) and when they are in high mood and shape they can beat all other teams especially in their own arena. National team is even better and within the last world championship and last summer Olympic games, they played in finals against the USA (or NBA selection if you will). They lost both games and won silver medals but to be honest, if NBA brought three teams to the competition they would most likely take all three medals. Currently and in previous couple of years American basketball players are simply the greatest. But they are not unbeatable - one game against Serbia in the group at the last Olympic tournament was pretty close and Serbian players had the last ball to even the score. Sometimes, overconfidence is a weakness that can sink you down pretty easily. Well, we'll see what next competitions will offer, and I hope to see next time the top USA players in the worldwide tournaments, including Stephen Curry and LeBron James. I am sure that would give the game additional level in the upcoming years. Also, it should not be bad idea to have some worldwide playoffs, perhaps to have a final eight tournament between four top teams from NBA and four from Euroleague. That would be something exceptional and more likely equalize the game levels on both sides of Atlantic. Also the rules are slightly different and it is only fair to equalize that too. Only the playing time of the game in NBA, which is 8 minutes longer is probably giving their players an unfair start. Simply put, just because of those 8 minutes, they are probably better physically shaped then all the others. In the end, if you ask me why I like to watch basketball (and to play, although not too often in latest years), and if I have to give you just one reason, it might be that lots of basketball games, at least between most of professional teams, are played in tight and even endings. And that is what differs this sport from all the others. It is always intense and exciting and in the top competitions no team is unbeatable. It requires team effort, intelligence, great fitness and understanding and literally, the coach (if he is any good) can draw the action on the board and anticipate entire 24 seconds of action. Of course, the fitness for the supreme basketball player is essential and I am not talking just about being tall and athletic. Training on the wooden floor, hard work and participating frequent games for young players are as important as the education and reading. One of those great guides I can warmly recommend is Basketball Training by Joey Anderson from Sports Fitness Advisor with lots of great advices for everyday practice. Original post: December 2016, Update May, 2018.